This course is an ideal bridge between Day Skipper course and the full RYA/MCA Yachtmaster Coastal examination course. 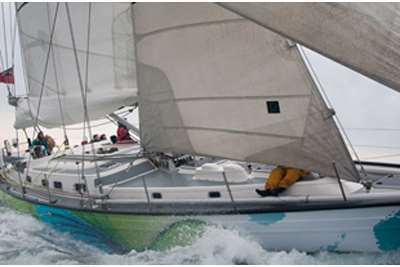 The course is designed to give an experienced RYA Day Skipper the confidence to undertake longer and more complex passages which may involve sailing at night or involve watch keeping systems. Skippering a yacht on coastal and offshore passages demands strong navigation, seamanship and leadership skills. During the RYA Coastal Skipper course your instructor will guide you through navigation, both offshore and in limited visibility, weather forecasting and passage planning, watch keeping, preparation for sea and handling heavy weather. You will put this all into practice as each student plans and executes passages taking complete command of the yacht. Coastal skippers must be good boat handlers and you will receive plenty of practice mooring the yacht and have at least 4 hours night sailing. Weather permitting the yacht will undertake a longer coastal passage. At the successful completion of the RYA Coastal Skipper course you will be awarded the RYA Coastal Skipper Course Completion Certificate and will be able to skipper coastal passages safely and confidently. 1830 Sunday until approximately 1600 Friday. Click here for an example schedule of how you will spend the week. All food except the evening of joining, wet weather gear and accommodation onboard. Mooring fees are an extra and we suggest that you budget ampproximately £20 for this course. For details of what you should bring please refer to the FAQ's section. At this stage of the RYA scheme it is really worthwhile consolidating what you have learnt by completing more sea miles. This could be achieved by chartering a yacht from us, joining a distance cruise or cross channel weekend or just coming along for another week or weekend of refresher /consolidation training. Following this you should look to joining the RYA/MCA Yachtmaster Coastal Preparation week followed by the RYA/MCA Yachtmaster Coastal Skipper examination. Duration: 5 days (Sunday to Friday). Previous Experience Required: 15 days aboard, 2 days as skipper, 300 miles logged and 8 night hours. A knowledge of navigation to RYA Coastal Skipper/Yachtmaster theory level. 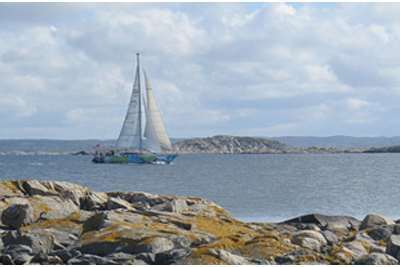 Course Overview: Skippering techniques and navigation for coastal passages by day and night. More advanced boat handling and pilotage for experienced Day Skippers. Click here to view full course syllabus. Cost: 5 Days, High Season (Apr - Sep): £540 or Low Season (Oct - Mar): £510.